Size of this preview: 394 × 599 pixels. Other resolutions: 158 × 240 pixels | 412 × 626 pixels. (Reusing this file) Public domain under Swiss copyright law. 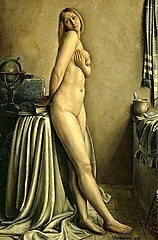 Painter died in 1934, over 70 years ago. Switzerland is 50pma for deaths through 1942. This page was last edited on 15 August 2018, at 22:09.